hope to see it when you get it back to beautiful! Wow, you're right! 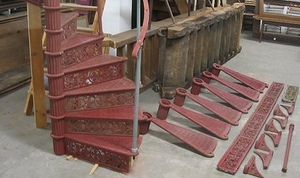 The Roger Tallon stairs are obviously based on an older method of assembling spiral stairs. He just simplified this (and fattened the steps). 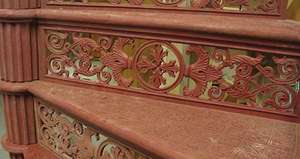 These are beautiful stairs... are you leaving them this colour?